Life is messy and God knows that. 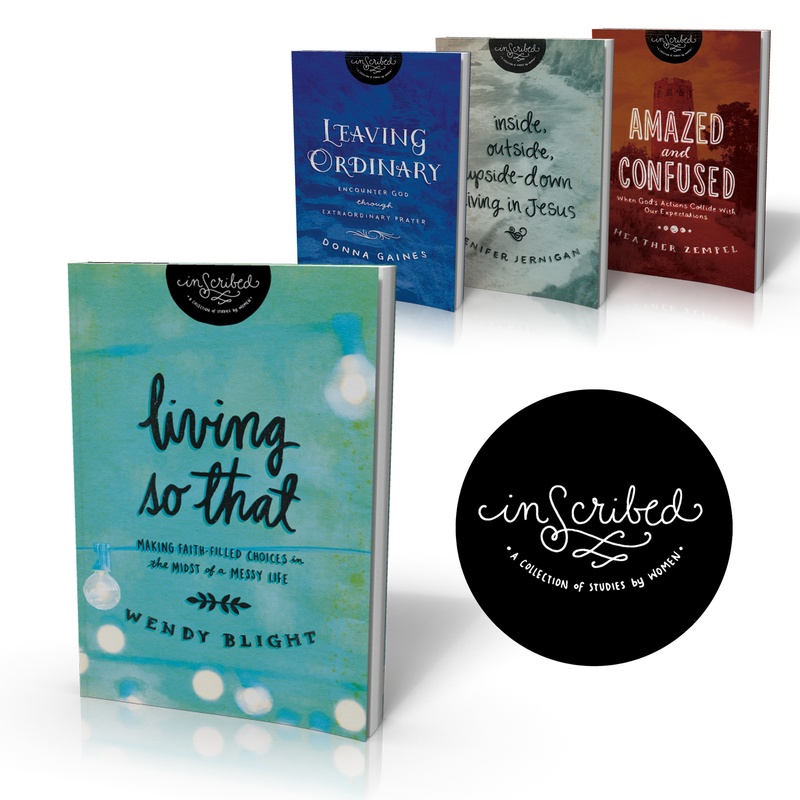 He gave us the Bible to equip us to live out our faith in the midst of our messy lives. Each new day can bring with it a myriad of issues and problems. And each issue and problem requires that a choice be made. We can choose to make “faith-filled” choices, or we can choose to make “faith-less” choices. The faith-less choices always come easier. They occur when we react out of our emotions and basically “do what comes naturally.” And more often than not, those choices have negative consequences that hurt not only us but also those around us. Faith-filled choices are harder to make. They occur when we react, not out of our emotions but out of a spirit-led heart and mind. And faith-filled choices have good consequences that bless not only us but everyone with whom we come in contact. In this study, we will examine many of “so that” verses scattered throughout the New Testament. These “so that” verse will equip us to make more faith-filled choices and fewer faith-less choices. Thank you for stopping my my blog today. I know how precious your time is, and I am grateful to spend a few minutes with you. If you are visiting from my Proverbs 31 Devotion, The Bitter Root, welcome! Writing devotions is hard because they require me to revisit times in my life I don’t like to remember…times where my words and actions did not reflect the godly character God asks of me. But devotion writing also encourages me because my devotions reveal times where God has clearly spoken into my life and taught me a spiritual truth or a powerful life lesson. One week from today, we will begin an on-line study that has been life-changing for me during the preparation process. In some ways, it has been like writing one long devotion. Why? Because God has spoken into my life in such a fresh way. Researching and writing this study has transformed the way I read and respond to God’s Word. Below you will find a 6 minute video sharing a bit more about the study and how to sign up. To register for the study, find and click on “Sign up for Wendy’s On-Line Studies” on the right side of my blog. Place your e-mail address in the box and click “subscribe.” Doing this registers you for this study and ensures you will receive invitations for all future studies. If you have registered for an on-line study in the past, you do not need to re-register. If you would like to receive the weekly posts for the on-line study in your inbox, visit the right side of my blog again. At the top, you will see “Subscribe to Updates.” Place your e-mail address in the box and click “Go.” Each week you will receive an e-mail with the post for the week. It is important to note that to view the video, you will need to visit the web site directly. You may do so by clicking on the title of the post in the e-mail. All registration information you share stays confidential. Below please find a sneak peak at some of our memory verses for the study. I am hoping you will join us!! Please share this study with your friends. It is great to do as a small group because you can watch the video on your own time and then gather together and spend your group time focusing solely on the lesson and homework questions. Please don’t forget to leave a comment letting us know why you want to join us for the study. I will choose a few names to win a copy (pdf) of the full length curriculum I teach life here in Charlotte. I will announce the winners the first day of our study, November 13th. If you have any questions, leave a comment or e-mail me at deuteronomysix@aol.com. See you here on the 13th! Good morning, Bible Study friends. Are you as excited as I am?! Our official first day has finally arrived. Great anticipation fills my heart as we gather in my kitchen this morning. How grateful I am for each and every one of you. Your comments have filled me with such joy…reading each and every one blessed me more than you will know. Thank you for taking the time to write and share your hearts with me and for sharing your prayers. It is definitely a day for celebration. We now have over 6300 subscribed to our on-line studies! This is truly only something God can do!! Our “biggest small group ever” just keeps growing because you so graciously share our studies with your friends. Thank you. We are still taking new members, so if you have a friend or friends you would like to invite, please share this post and encourage them to sign up by registering in the sidebar for the on-line studies as well as subscribing to the blog to receive the weekly posts in their inbox. Each week we will have a video lesson, a memory verse, a prayer and homework questions. Please forgive inconsistent spacing issues in the homework. I am not sure why it will space correctly sometimes and not others. The lesson will be up all week so that you can do it on your own time. Remember if you want to receive the homework in your inbox, you will need to subscribe to this web site. To do that, look at the top right side of my web site. There you will find a link that says “Subscribe to Updates.” Simply type your e-mail address in the inbox and press “Go.” You will then receive each week’s lesson in your inbox on Tuesdays. If you want to see the video, you will have to visit my web site directly. To get to the web site, you may click on the title of the post in the e-mail. It will take you directly there. Winners of “Living So That” Bible Study. Please send your full name and e-mail address to deuteronomysix@aol.com, and I will send you the “Living So That” study. Okay….we’re off!!! Below please find our video lesson for this week. This Week’s Memory verse: All Scripture is God-breathed and is useful for teaching, rebuking, correcting and training in righteousness, so that the man of God may be thoroughly equipped for every good purpose. Father, today begins a new day in my spiritual journey with You. Thank You for bringing me to this study for setting apart this time and place for me to be in Your Word. As I begin my first lesson, I come boldly before Your throne, asking to be filled with the full, deep, and clear knowledge of Your will for me this year. Please use my time here to invigorate, refresh, strengthen, and renew me. Father, speak Truth in my life. Your Word calls me to action… to a life that will make a difference for You and Your Kingdom. Open the eyes of my heart to see that life. Give me a heart that desires that life above all else. If I am not living in a way that pleases You or loving others in a way that honors You or studying in a way that changes me, convict my heart by speaking Truth in love. Make my heart tender to receive rebuke and discipline. You have drawn me here, and I want to receive ALL You have for me! As I join my sisters to study Your Word, knit us together in perfect unity. Allow there to be absolute trust and confidence in all we say. Father, plant our roots deep in Your Word and use us to continually build each other up. Help us to be patient and gentle with each other. Help us teach, admonish, and train one another with grace in our hearts. May the words of our mouths and the meditations of our hearts be pleasing to You, oh, Lord, our Rock and our Redeemer. Father, bring Your living and active Word alive in my heart. Invade every part of my being. Transform me from the inside out. A. Do you believe the Bible is the inspired Word of God? If you answered “no,” what do you believe about the Bible and its accuracy and authenticity? B. Read 2 Timothy 3:16-17, this week’s memory verse. What does Paul say about God’s Word? List the four reasons God’s Word is profitable and explain how each applies to your life. 1.. Read Romans 15:4. What does Paul add here? 2. Read 1 Corinthians 10:6, 11 and share what you learn about the purpose of God’s written Word? 3. What is the “so that” in 2 Timothy 3:17? “Perfect” is from the Greek word artios and refers “not only to the presence of all the parts that are necessary for completeness but also to the further adaptation and aptitude of those parts for their designed purpose.” It does not at all suggest sinless perfection. Rather, it implies being fitted for the use for which God created us. “Furnished” is from the Greek word exartizo and means to “furnish completely.” God, through His Word and His Spirit, gives us exactly what we need to be the women He created us to be. The Word of God equips us so that we can live the life God laid out for us before time began. The logical conclusion is the better you and I know the Word, the better able we are to live out God’s plan for our lives. The Word equips us for ministry. And ministry is not limited to pastors, priests, nuns, speakers, authors, and Bible teachers. Ministry is doing God’s work wherever He has placed us in our homes, in our schools, in our workplace, in our community, in our neighborhood, in our circle of friends, in our world. 4. In your own life, how has God used His Word to prepare and equip you? C. Read Luke 8:4-15. Our “so that” is found in verses 9-10. Matthew Chapter 13 (where we also find this same parable) tells us that Jesus taught this parable from a boat. One commentator surmises that as Jesus was teaching, He looked out upon a billowing cornfield that descended to the water’s edge. Running through that field was a well- worn path. Also within His purview, He could see rocky soil and ground overridden by thorn bushes. And, in the distance, on the other side, there was good, rich soil that distinguished itself from the barren soil around it. With this visual in mind, let’s dig in to Luke’s parable. 1. When Jesus finished the parable, His disciples were confused. Before He explained it, what did he say? (v. 8) What did Jesus mean by these words? 2. Was Jesus really speaking in parables to hide the Kingdom from “others,” from those outside His circle? Explain. It does not seem fair, but that is what He appears to say. What we can infer from Jesus’ words is that He is looking for “listening ears.” If we have listening ears, we will hear and understand. Jesus purposely spoke in parables to distinguish between those who had “ears to hear” (those with responsive hearts) and those who did not. His words in verses 9 and 10 imply an element of culpability. Now let’s open our ears so we can hear the truths Jesus wants us to glean from this parable. 3. Who is the sower? Can there be more than one sower? 4. What does the seed represent? What does the soil represent? 5. Jesus speaks of four types of soil, each one representing the heart of one who reads or hears the Word of God. Take a moment and dissect each soil as it relates to the heart and explain why that impacts the heart’s ability to receive the message. 6. Is your soil fertile? Is the Word taking root in your heart as you receive it? If yes, share evidence of it taking root. If not, what do you need to do to allow it to take root? b. Why is he telling them? c. Why is strengthening their belief so important? The disciples’ task after Jesus’ death would be to spread the message of the Kingdom. Jesus knew that, as it stood, they were not strong enough to take on such a monumental undertaking. He needed to strengthen their belief. The fact that Jesus knew of Judas’ betrayal and prophesied it in advance bolstered the disciples’ faith. Jesus used many “so that” statements like this to build their faith. c. Why would strengthening their belief in preparation for that moment in His ministry be imperative? Jesus wanted His disciples to know that although He would be absent physically, He would not be gone altogether. They would still experience His presence even though they would not see or sense Him physically. b. In whom do we have peace? How is that possible? c. What does it look like to “have peace” in Christ? d. Practically, how do we live in the fullness of God’s peace? Jesus knew that His death would create great despair in the hearts of His followers. They had spent every moment with Him for the past three years. He was their teacher and their leader. He led them and fed them. He prayed for them and cared for them. And because Jesus was human, He perceived their fears of persecution and even death. He wanted to speak hope into their lives before He left. He wanted to assure them that even though in this world they would have trouble, they should not be anxious or afraid. He wanted them to know that peace would be theirs, an everlasting peace that no one could take away. How is peace like that possible? Because of the Holy Spirit. Even though Jesus is physically now sitting at the right hand of His Father in heaven, He has not left us. He is with us spiritually. Through God’s Holy Spirit, we are connected with Jesus for eternity! We are free to encounter Him every day in His living and active Word. We are free to come boldly before His throne of grace with our every need. And we can know that when we come, He will hear us. We can find peace in times of pressure and uncertainty, in times of fear and waiting. We must never forget that even though in this world we will have trouble, our Savior has overcome the world! He is the Prince of Peace and His Peace reigns. John 14:27 tells us that His peace is not the peace the world gives. 4. Distinguish between the world’s peace and the peace of Jesus. E. Our next “so that” is from the book of Colossians. Read Colossians 1:24-2:8. 1.What did Paul tell the Colossians? 2. Why did he tell them this? The word Paul uses is “deceive;” the King James Version says “beguile.” We are not to be “deceived” by fine sounding arguments. This is from the Greek word paralogizomai, which means to deceive by false reasoning. It is clear from much of Paul’s writing he experienced continual spiritual conflict, wrestling against Satan and his minions who were deceiving new believers, attempting to lead them astray. He desperately wanted believers to live together in unity and live in the fullness of Christ’s blessings. Paul knew, as Jesus knew when he spoke to Cleopas and his friend on the road to Emmaus, the one and only way to overcome Satan was through the Word and prayer. The world bombards us daily with lies and deception. If we do not know Truth, we will be led astray. If we are not continually in the Word and daily in prayer, we will slip backward, making ourselves vulnerable to Satan. 3. What does Paul want for us in Colossians 2:2? 4. In Christ, we have what according to Colossians 2:3? What a gift we have in Jesus! In Him we have “all the treasures of wisdom and knowledge.” Any man made philosophy that contradicts or comes against His Word has no place in the life of a believer and should be unworthy of our consideration. We must continually be aware of the world’s “fine-sounding arguments” and “enticing words” (KJV). These words in the Greek mean “persuasive words.” These are words that use logical but false arguments. God calls us to be alert and aware of such words. But that does not just happen. We must prepare in 0rder to be aware. How can we prepare? Be in the word. Pray for discernment. Pray for understanding. Pray for wisdom. Friend, we have Jesus! We are rich in the One who is our All in All. He is our Sufficiency. He is our Portion. He is Wisdom. He is Truth. He is enough. He is all we need! How we have delighted in the Lord’s Word this week! I don’t know about you, but I have been filled to the fullness of what I am able to receive. My heart is overflowing with TRUTH! What I have learned is that I must fill my mind with God’s spoken Word because you and I act on what we BELIEVE and not on what we know. What fills our hearts and minds will determine our actions. Prayerfully ask the Lord if He has a call to action for you based upon our lesson this week. If you hear “yes,” write a prayer below asking the Lord to help you obey what you have heard. List a few steps you will take to carry out your call to action. Oh, how I LOVE our topic this week: Pray So That! But before we jump in to today’s lesson, thank you, thank you for the comments you have shared this week. Your sharing has been such a blessing not only to me but to all our sisters in Christ journeying with us through this study. You asked challenging questions, taught powerful truths, prayed beautiful prayers, and shared honestly from your hearts. This is what Bible Study is all about!!! 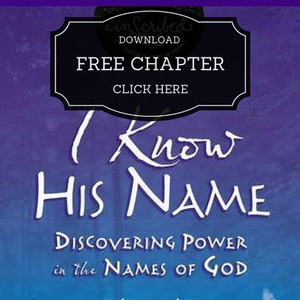 God made His power available to us through the indwelling of His Holy Spirit. This is a precious gift that belongs only to God’s children. The Spirit of the Living God lives in us. God desires that we be filled to the full with that presence. But we have a role in this. We must actively pray for His Spirit to invade every part of our being. When we truly invite Him to fill us and use us, the supernatural experiences He will grant us, the ways He will use us, will blow our minds! Friends, my prayer is that we would daily pursue a Spirit-filled, Christ-empowered life, a life Jesus can use to bring hope and healing to His broken and hurting world. May God receive all the praise, glory and honor for the fruit that result from our time together studying prayer! Show us your glory this week, Lord, show us your glory! Some of you may not know that I teach this Bible study live here in Charlotte. We recorded the teaching for this lesson a few weeks ago, so I thought rather than record a new one for you, I would share this teaching. It lasts 37 minutes, much longer than our usual messages, so I hope you don’t mind the change. Next week we will go back to the shorter messages from my kitchen. Also, there is a minute or two period where we lost sound, and I apologize for that, but it does came back. Heavenly Father, thank You for the gift of prayer. I invite You to speak a fresh Word to me this week. I don’t want my prayer time to be a religious ritual that I do each day. I don’t want it to be another thing I check off my “to do” list. Teach me to pray with power. I want my prayers to be effective and bring results that will glorify and honor You and You alone. Feed me Your Living and Active Word. Plant it deep in my heart so that I can recall it and pray it with my lips. As I speak Your Word and hold it before You, I trust You to honor it. Thank You that Your Word, when prayed, will not return void but will accomplish what You desire and achieve the purposes for which You sent it. Thank You that it will prosper in everything for which it is sent! Give me the courage to come boldly before Your throne of grace. When I arrive, Father, meet me there. Shower me with the presence of Your Holy Spirit. Make Yourself known to me. Be at work in my prayers. Show me Your glory, Lord! Show me Your glory! I love You so much. I ask all this in the Name of Your Son, Jesus. Amen. A. Share a bit about your own prayer life. Do you pray? If so, describe your prayer life (time of day, frequency, manner of prayer –written, oral). If you don’t pray, share why. What is prayer? Prayer is a love relationship with the God Who created us. Prayer is a gift. Prayer is a great privilege. Prayer is two-way communication. Prayer is cultivated. Prayer requires faith and action. B. Read Hebrews 10:19-22 and Matthew 27:51. Because of what Jesus has done, opening the way for us to enter into His presence, we can “approach the throne of grace with confidence.” When you sit before the Lord in prayer, do you approach Him confidently? If you answered “no,” share why you find it hard to pray with confidence. Friend, Jesus gave up His life so that you could be in relationship with Him, so that you could enter into His presence and fellowship with Him. If you are one who feels uncomfortable praying or feels unworthy to pray, spend time thanking Jesus for what He has done and ask Him to make His sacrifice a reality in your life. BELIEVE He did this just for you in prayer. Remember, He gave up His life to make it happen. He desires to hear your praises, your hopes, your dreams, and the cry of your heart. Pray with me: Sweet Jesus, thank You for dying on the cross at Calvary, for tearing the curtain in two and making a way for me to be united as one with You. Help me to fully accept this gift. Open my heart to know You more intimately and to know how much You value me and find me worthy of Your love and Your time. Fill my heart with prayers of praise and thanksgiving and teach me to pray powerfully and effectively to make a difference in my life and the life of Your Kingdom. C. Let’s look at Jesus’ teaching on prayer found in Luke 11:1-13.Read this passage of Scripture. On this occasion when Jesus had finished praying, His disciples said to Him, “Lord, teach us to pray.” Most of us are familiar with the Lord’s Prayer. But today we will focus, not on the prayer, but on the verses following the prayer. 1. What do you learn in verses 5-8? 2. What do you learn in verses 9-10? 3. What do you learn in verses 11-13? Let’s dig a bit more. Thessalonians 5:17 says, pray “continually.” The King James Translation says pray “without ceasing.” Interestingly, in the Greek this word does not speak of something uninterrupted, but of something constantly recurring. We are called to a continual state of prayer of prayer. These words speak of watching with purpose, being intent upon something. When we pray, God invites us into a two-way relationship which involves two-way communication. We need to eagerly anticipate answers to our prayers. We need to watch for Him to be at work. One way to “be watchful” is to look for answers. Open the Word with great expectancy to hear from Him, praying show me, God. Look for a change in your circumstances, praying show me God. Listen to words of wisdom from friends, praying show me, God. Listen for the whispers of the Holy Spirit, praying show me God. By doing this, you are positioning your heart to pray continually. D. Share a memorable time in your life when you were watchful and experienced answered prayer. Our church’s women’s ministry leader, Lisa Allen, shared a great way to bring watchfulness alive in your prayer life. She uses “prayer triggers.” When you have a person or group of people for whom God calls you to pray, be creative. Think of something that reminds you of the person for whom you are praying. Invite God to open your eyes to see that trigger and use it to remind you to pray. Lisa loves all things leopard, so whenever I see anything leopard, the Lord reminds me to pray for Lisa. If you assign triggers to special people in your life, think of how many times throughout the day you will pray! Again you are positioning your heart to pray continually. E. Prayerfully choose someone for whom to pray. Choose a prayer trigger that will remind you to pray. Journal how God worked throughout the week as you faithfully prayed using your prayer trigger. F. Read Matthew 26:36-45. What happened here when Jesus asked His disciples to watch and pray? I wonder if Jesus hoped for more from His friends. He only asked for one hour, just one hour of their time. They could not give it. Perhaps if they had truly understood all that He had told them about what was to come, about what He was to suffer, things might have been different. Maybe they would have sacrificed that single hour of sleep. We will never know. 1. What about you? Is Your Savior asking something of you concerning prayer that you are not giving? Take some time to listen and pray before you answer. Share what you hear and feel below. 2. Jesus tells the disciples exactly why He wanted them to “watch and pray” in Matthew 26:41. What is the “so that” here? 3. What is the temptation of which He speaks? Jesus knew the danger and trouble that lie ahead for His disciples. Spending time praying with Jesus and for Him would have not only blessed them but also equipped and empowered them for all they were about to endure. The same is true for us, sweet friend. Our God is All-Knowing. He alone knows what our future holds. God has given us this gift of prayer. He intends to use it to prepare us. In prayer, God girds us up for the trials, battles and temptations that will come our way. When you do pray, do you struggle because sometimes it seems God does not hear or answer your prayer? You say, “God, I do believe; help me with my unbelief.” You pray and want to believe that God will answer your prayers. You know that His Word says in Christ all things are possible. (Philippians 4:13) But your circumstances do not change. Your answer does not come. 1. Who lacked faith in Mark 9:17-18? Before we move on, it’s vital you know that in Luke 9:1, Jesus gave the disciples the “power and authority to drive out all demons, and to cure diseases.” So why were they not able to cast the demon out? Did they never actually receive the power? Did Jesus decide they were not worthy of that power and take it back? The disciples were confused as well. So they asked Jesus why they were unable to drive out the demons. Jesus answered, “This kind can only come out by prayer.” In Matthew’s gospel, He answered, “Because you have so little faith.” Matthew 17:20a. Did the answers Mark and Matthew gave contradict one another? Absolutely not! Faith and prayer go hand in hand. Prayer empowers faith. Jesus was both disappointed and disturbed by their lack of faith and understanding. Perhaps they had lost confidence because He was not with them. Or maybe they missed the presence of Peter, James and John, their leaders, who had gone with Jesus up the mountain. Or perhaps the teachers of the law and the crowd intimidated them. Were the leaders discouraging them? Was the crowd mocking them? We don’t know. 2. The disciples were not the only ones who lacked faith in this story. Who else exhibited a lack of faith? Explain his interaction with Jesus, focusing on his words in Mark 9:21-22. Jesus asked the father how long his son had been sick. In Mark 9:22b, the father began his statement with the word “But.” The use of this word revealed a glimmer of hope. This was all Jesus needed to hear and know there was faith tucked somewhere deep inside this father’s heart. The father’s next words, “if you can…,”elicited a strong response from Jesus. Jesus repeated the father’s words back to him, almost as if to say Are you kidding me? If I can! Of course I can! Of course Jesus can. He is all authority on heaven and on earth. He is the Healer. Not just anything but everything is possible. We must set no limits on God. When we pray and ask, we must pray with full belief that He is able. The quandary is that sometimes what we ask is not what He wills. But He is always able. 3. Jesus’ words to the father were enough for another step of faith. What were the father’s next words to Jesus in Mark 9:24? How long did it take him to come to this conclusion? “What makes faith valid is not its subjective strength, but the trustworthiness of its object.” Jesus is the object of our faith. It is Him in whom we trust…not ourselves, not our emotions, not our abilities…but in Him alone. 4. Read Hebrews 11:6 and write it below. What is the author saying to us about faith? When you doubt God is listening, when you doubt He is at work, remember the truths we have studied today. Jesus knows our weaknesses because He was one of us. He is anxious for us to have a deep and abiding faith. So, when we pray, He will supply what we lack. He is a rewarder of those who earnestly seek Him. (Hebrews 11:6) The disciples failed in their efforts because they had neglected prayer and preparation. The authority Jesus had given them was still effective. But not for them in that moment because they had failed to prepare their hearts and minds to do that which Jesus had authorized them to do. Faith does not just happen. It must be cultivated. We must engage in spiritual disciplines like praying, studying and fasting. Jesus was frustrated because He knew they had been careless with their faith. H. Read John 14:13. What is the “so that” in this verse (NIV) and what does it speak to your heart about prayer? Does this verse teach that whatever we pray in Jesus’ name, we get? No, absolutely not. The first part of this verse, “I will do whatever you ask in my name,” is not a magic formula. Praying in Jesus’ name does not guarantee that God will deliver. Praying in Jesus’ name means something far different. It means that when we pray we are asking God for something that aligns with His will, something that would please Him, something that would bring Him glory and further His Kingdom on earth. I. Read 1 John 5:14-15. Write this verse in your own words. How does it confirm our “so that” verse? Speaking His name alone is not enough. We must understand His nature and character. We must know His will. The goal of our prayer must be to honor God and His name, not ourselves. When we pray in Jesus’ name, we are standing before God in Jesus’ place. We are pleading before the Father not because of who we are, but because of Who Jesus is. J. At the beginning of the week, you answered questions about your prayer life. Now that you have studied prayer and its role in giving you a bolder faith, will you make changes in your prayer life? If you answered “yes,” share what step(s) you will take and write a prayer committing this to the Lord.  If you are not comfortable with praying, take baby steps. Choose one area we have studied this week and apply it in your prayer life. Maybe you need to really know and understand God loves you. Search for verses on His love, study them and even memorize them. Keep them close to your heart until you feel His love seep into the depths of your soul.  Maybe you struggle with spending time alone with God. Set aside a short time each day with no agenda (maybe just three to five minutes). For example, open your Bible to the book of Psalms and read for just a few minutes. Begin to pray some of the psalms back to God, personalizing them with “I” and “me.” Get a little notebook or journal and record what you learn, hear and feel as you abide in Him.  If you already have a daily prayer life, apply what you have learned in this lesson and take it to the next level. Select areas in your life (or people) and search for verses that speak to those areas. Study the verses and personalize them for your situation. Commit to pray each verse, fully believing that God will work in and through them just as He promises. Invite Him to be at work. Anticipate His work. Journal what you learn, hear and feel through this process. I share these verses as a starting point. Take the verse given and search for more using key words and the concordance in the back of your Bible. Use the notes for each verse found in your margins and at the bottom of each page. Pray for the Lord to lead you through His Word. I am praying for you, sweet friend…praying for God to do big things this week! Please, please share what God is teaching you throughout the week! It was June of 1986, just days after my college graduation. I walked into my apartment to find an armed, masked man standing at the top of my stairs. The afternoon he spent in my apartment transformed my life forever. For days and months following my attack, I wept before God, shaking my fist, asking God, How could You sit on Your throne in heaven and allow the horrible things that man did to me? Night after night I lay in my bed, tears soaking my pillow. Questions plagued my mind. Why didn’t You protect me? Why didn’t You warn me? Why did You abandon me? Well-meaning friends would tell me that God had a purpose, that He would bring good out of it. I knew they meant well. But how could they utter such ridiculous statements? 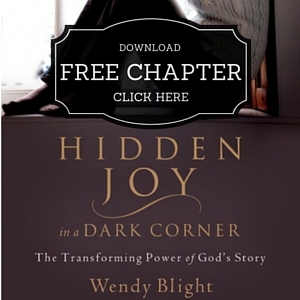 [Excerpt taken from my book, Hidden Joy in a Dark Corner: The Transforming Power of God’s Story] I knew no good would ever come from what happened to me that day. There would never be any purpose in the vile acts that man committed against me. That is what I believed for years and years following my attack. You see, when I was raped, I was unfamiliar with the Bible. Oh, I had read it now and again, but I did not know God’s Word. I had no idea that the Bible spoke to the very questions I was asking, not once, but many times. Once God equipped me with the Truth, understanding and healing came. Being equipped with Truth enables us to face our trials from an entirely different perspective. How I wish I had that perspective in June of 1986. But I am certain if I had, I would not be writing these words today. Are you angry with God? Do you wonder where He is in the midst of your trial? Do you doubt He truly loves you considering what is happening in your life? If these questions, and others like it, burden your heart, God brought you here because He hears your cries. He wants to speak to you and encourage you. He wants to equip you for your trial. This is your divine appointment, sweet friend. I am so excited for this lesson so let’s begin! We have a special guest on our video this week. Her name is Bobbie Wolgemuth. Bobbie is my dear friend and mentor and is married to my literary agent. I shared a bit of Bobbie’s story a few months ago on my blog. To read it, click here. At that time, I was asking friends and family to pray for Bobbie as she went through chemotherapy for Stage 4 Ovarian Cancer. When I learned she was in Charlotte this week to visit her two daughters, I knew it was a divine appointment for me and for each one of you to hear her the rest of her powerful story. She is a living example of the power of prayer and of God’s faithfulness to through carry us through even the darkest of times with JOY and Hope. Please set aside a fifteen minutes to hear her inspiring testimony. They plan to topple me from my high position. 1. With what kind of attitude are we to approach our trials? 2. What word follows “Consider it pure joy, my brothers?” What does his use of this word speak to you about trials in our lives? James did not choose the word “if.” He chose the word “when.” It is not a matter of whether trials will come but when trials will come. Trials are inevitable because we are a fallen people living in a fallen world. (1 Thessalonians 3:3). So, if we know trials will come our way, perhaps our question when they come should not be Why me, God? But rather, our question should be How do I deal with this trial, God, and what do you want to do in my life through it? God is a good God. He tells us trials will come and provides guiding truths and principals to teach us how to cope. God’s guidance requires us to first look at the type of trial we are experiencing. Is it one we have brought upon ourselves as a consequence of our own choices? Or is it one that the Lord has allowed? Have we disobeyed or rebelled against God or is our suffering totally unrelated to our own choices. The latter is most difficult to understand. But God enlightens us and gives us understanding in His Word. If you struggle believing God ordains some suffering, look at the lives of Joseph and Job. God needed Joseph in Egypt in the Pharoah’s house to save His people from a terrible famine. As a consequence, God orchestrated circumstances to get Joseph there. Scripture teaches at the end of the story that Joseph not only saw God’s purpose but testified to it when he forgave his brothers for what they did. 3. Read Genesis 50:20. What truth does it teach? In the opening chapter of Job, the Lord initiated a conversation with Satan that led to the testing of Job. Satan claimed Job’s righteousness was meaningless because God had richly blessed him and placed a hedge of protection around him. Satan contended that if God took away all Job had, he would curse God. 4. Read Job 1:12. How did God respond? These are not the only stories in Scripture that speak to God as the author of suffering. 5. Read Psalm 119:67, 71, 75, and Hebrews 12:5-11. Share what you learn. How does this make you feel about God? Explain. It is difficult to think of God this way. But we must remember that He is our Creator and our Father. He knows us inside out and always has our best interests at heart. God allows trials for many reasons. Sometimes He needs to refine us to make us more like Him. Sometimes He needs to strengthen our faith. And sometimes another person may need to see Christ’s character demonstrated in us in order to grow their faith. One promise of which we can be certain…when we respond to trials with faith and trust, God will use our suffering for good and His glory. B. What does Peter say about how we should respond to suffering in 1 Peter 4:12-19? James tells us we are to “consider it pure joy whenever we face trials of many kinds.” The King James Version says we are to “count it all joy.” This word “count” means evaluate. When trials come, we must evaluate them in light of God’s truths and promises. It’s not the trial that we consider a joy. Rather, it is the results that will come from the trial that we consider as pure joy. Hebrews 12:2 tells us that Jesus endured the cross because of the “joy set before him.” He knew He would be resurrected and would ascend into heaven to once again sit at the right hand of His Father in heaven. And He knew one day He would return to get His bride. The testing of our faith produces perseverance. “Perseverance” from the Greek word hupomone means “an abiding under.” As used here, it means steadfastness or endurance in the face of difficulties. This is not a passive acceptance of our circumstances. It is a courageous persevering through in order to reach what is promised on the other side. Endurance cannot be acquired through reading a devotional, listening to a sermon, or praying a prayer. We must walk through the trial, trusting and obeying God every step of the way. I have never forgotten the words of a friend of mine who had walked through several trials, one after the other. What these verses and passages teach us is that before God can work through us, He must work in us!!! God builds character before He calls a leader. God humbles a heart before He calls a servant. God refines us through our suffering. Perseverance builds character and molds us to be the women God created us to be. The NIV describes that character as “mature and complete.” The King James Version says “perfect and entire.” The Greek word “perfect” is telos and means “finished, wanting nothing necessary to completeness, perfect.” It implies a mature faith lived out in faithful, loving service. The Greek word “complete” is holokleros and means “complete in every part, perfectly sound.” It is used to speak of the health and wholeness of the body, physically and spiritually. When we face our trials with faith; when we keep our eyes on God’s truth and promises in the midst of them, we will persevere. Each step of courageous perseverance builds on the next until we come out the other side a thoroughly mature believer lacking nothing. C. Read 2 Corinthians 12:9.
all the more gladly about my weaknesses, so that Christ’s power may rest on me. As we learned in the last section, God sometimes uses suffering as a tool to build godly character. In the midst of refining us, He pours out His amazing grace. Paul portrays this promise beautifully in the story below. Therefore we do not lose heart. Though outwardly we are wasting away, yet inwardly we are being renewed day by day. For our light and momentary troubles are achieving for us an eternal glory that far outweighs them all. So we fix our eyes not on what is seen but on what is unseen. For what is seen is temporary, but what is unseen is eternal. Had God warned him during his visit of thorn in his side? Did God impart truths and promises to Paul that would sustain him? We will never know. But I would like to think this was so. 1. What reason does Paul give in verse 7 for his thorn in the flesh? How does this make you feel about God? What we do know is that Paul says outright that God allowed this thorn in the flesh to keep him from being conceited. He refers to this thorn as a messenger of Satan. As hard as it is to understand, there is no other way to read Paul’s words. Paul had gone to heaven and back…an experience few, if any, are given. God knew Paul’s frame and inclinations, so perhaps He gave him this thorn to keep him from being prideful about his experience. God abhors pride. He knows it leads to deeper temptation and to sin. To protect Paul from this, He allowed this thorn. Without it, perhaps the fourteen years of ministry following his visit to paradise would have been filled with pride and failure instead of Christ confidence and success. Scripture does not identify Paul’s thorn. The word translated “thorn” is skolops and means “anything pointed.” One commentator stated that it means “a sharp stake used for torturing or impaling someone.” What seems clear is that it indicates a physical affliction of some kind that brings great pain and distress. There are many theories, but none proven. Some believe it was epilepsy, others an eye ailment, and still others severe headaches. For our teaching purposes today, it really does not matter. In fact, I think it is best we not know because then, no matter what our suffering may be, we are able to look to Paul’s experience for wisdom and encouragement. God permitted Satan to “buffet” Paul. “Buffet” translated from the Greek means “to strike with clenched hands, the fist.” This word implies constant, recurring attacks. 2. What is your response when trials and suffering come? How has it worked for you? When God permits trials and suffering in our lives, we have a choice as to how we deal with them. We can blame God and become bitter. We can wave the white flag and give up. We can grit our teeth and suffer through the trial until the bitter end. Or we can choose Paul’s response. Paul wanted God to take this thorn away. He pleaded with God to take it away. Paul’s words are such an encouragement because he gives us permission to tell God we don’t like what He is doing and to please stop it! 3. How many times did Paul ask God to take it away? Friend, their words teach us that praying for God to change our circumstances does not reveal a lack of faith. Their stories give us permission to cry out to our Father for whatever burdens our hearts. He invites us to unload our burdens on Him so that He can can carry them. But in the end, He may not answer the way we ask. Jesus and Paul show us that “unanswered” prayer is not always due to our lack of faith. It is because God has another plan…a better plan. Despite Paul’s desperate pleas, God did not take away his thorn. But He did give Paul a most amazing gift. The gift of grace. Not only is His grace sufficient. God adds this promise: “my power is made perfect in weakness.” It is in our times of greatest weakness that God will pour out His power upon us. He created us in such a way that His power works most effectively when we are weak. 6. Let’s stop for a moment to meditate on what Paul has taught us. Prayerfully reread the passage for this section and any notes you have taken. Share in your own words what this passage is teaching you about the trial you are currently facing. How is God speaking to your heart about applying them? 7. God’s grace transformed Paul’s perspective. Paul ends this passage with a “so that.” He will boast in his weaknesses “so that” what? Paul wanted Christ’s power to rest on him. 8. Have you ever felt Christ’s power rest on you? Describe that feeling. The word “rest” translated here means “to spread a tabernacle over.” Don’t you love the picture this creates in your mind about our Father in heaven? 9. Read Psalm 28:7. What does this verse tell us about God? Friend, we are frail creatures, created by God to need Him. He longs for us to admit our frailty and cry out for help so that He can come to our rescue. He is our covering, our Shield, our Defender, our Strength, and our Strong Tower. He wants to transform our weak, frail bodies into a glorious holy tabernacle indwelt by His Spirit! Rejoice in His promise: it is only when we are weak that we will be strong! D. Read Ephesians 2:10. What does it say about why God created us? 1. Read Isaiah 45:2, 55:12 and Romans 8:28. What does God promise in each of these verses? God promises that no matter the trial, no matter how impossible our circumstances may seem, He will work things together for good. But His promise in Romans 8:28 contains a condition. 2. Define those for whom He will work all things together for good? What does it mean? E. Read John 9:1-12. Jesus’ disciples wanted to know why this man was born blind. Jesus answered in John 9:2-3. 1. Why was this man born blind? Does this upset or confuse you? If so, why? I see this in my own story. After my attack, I asked God what I had done to deserve what happened to me. I cried myself to sleep more nights than not. I felt abandoned by God. I locked myself in a prison of fear to protect myself. At times, daily living seemed too much to bear. Yet out of this trial grew a ministry. It is why you are reading these words today. My vicious assault was a backdrop for a ministry. I did nothing wrong. But God now uses my transformed life as a vessel to draw others to Him. The blind man’s story reminds us that we are created for God’s purposes alone, and the trials and sufferings that enter into our lives come to bring about the glory of God. 2. Is there a trial in your life that God may want to use as a backdrop for a blessing? Is there something keeping you from trusting Him on this? Are you holding tightly to the pain, the disappointment, the anger, the bitterness, the confusion, the doubt? Spend time this week with the circumstances of your trial and the truths God has been revealing to you. Invite God to show you the Romans 8:28 good…the blessing He wants to give you through this trial. Ask Him to enable you, through the Word and the power of His Holy Spirit, to move to a new place of trust, peace and joy…even if your circumstances do not immediately change. Invite Him to help you with your unbelief. Please remember as you work though your homework, I am praying for you and believing God that He is at work in your hearts, speaking through His living and active Word. 1.What is at risk when we walk through a trial according to this verse? Circumstances sometimes make it so easy to throw away our confidence. Maybe it’s a time when nothing is going as planned. Maybe it’s a time of unanswered prayer. Maybe it’s a time when we cannot see, feel or hear God. Maybe it’s a time of physical weariness or chronic sickness. Our reasons are many and varied. We all have them. We want to give up and walk away. What we often forget during those times is that we have full access to God’s power and His promises. It is in that power and those promises that we find our confidence. It is not in the world’s confidence. It is Christ’s confidence. Is there a difference? Absolutely. The world’s confidence is based on what we see with our eyes and what we feel with our emotions. Christ’s confidence is based on Christ and Who He is. We don’t gain Christ’s confidence by simply asking for it. We have to take action. My friend, Renee Swope author of A Confident Heart, advises that if we find ourselves in this situation we must do two things. First, when feelings of doubt and uncertainty arise, we must immediately stop and ask God to help us identify what is causing our doubt and uncertainty. Second, we must compare our thoughts about our situation with God’s thoughts, which are reflected in Scripture. Do they match? If they do, then we meditate on and pray through those truths, holding fast to them and trusting God to carry us through. We can do this confidently because we know that God honors His Word and that His Word will not return void but will accomplish what He desires and achieve the purposes for which He sends it. If they do not match, we must search His Word for truths and promises to replace the lies we are hearing. 2. In Hebrews 10:35-25, we must persevere in difficult times “so that” what? If we persevere and maintain our confidence in God and His Word, God promises that we will be “richly rewarded.” Rewarded with spiritual and sometimes even physical blessings beyond measure. 3. Is something stealing your confidence today? Share with us on the web site so that we can pray for you. As we close today, I want to end with Isaiah 46:8-11. 4. Read Isaiah 46:8-11. What truths about God do you learn from this passage? God knows how to run the universe, the world, and our lives better than we do. He is Sovereign over ALL things. Nothing, ABSOLUTELY nothing happens outside His sovereign hand. So when trials come, we need to trust in the character of God. It isn’t that we can’t have a time of panic when trials come our way. The key is not to stay in panic mode. We most STOP and examine our response. If we are not responding in confident trust and faith, we must identify our response and change it immediately. What does this look like? 1. Am I looking for God or am I looking for the nearest escape route? 2. Am I humbling my heart to hear God’s voice? 3. Am I rebelling against God or disobeying a truth I know? 4. Am I harboring unforgiveness? 5. Am I in the Word, claiming and praying God’s promises? 6. Am I ready to trust God no matter how my trial turns out because I know God is good and has my best interests in mind? G. As we close, read Joshua 1:7-9. Meditate on the truths God gave to Joshua and pray for God to bring them alive in your own heart. God charged Joshua to not only be grounded in the Word but also to obey the Word. He told Joshua not to let it depart from his heart and to meditate on it night and day. And if Joshua obeyed, the Lord promised him prosperity and success. He promised Joshua His presence would be with him wherever he went. God was not saying that Joshua wouldn’t have trials, because difficult trials materialized in the very next chapter. But God was promising that He would be with Joshua through those trials and that Joshua would come out victorious in the end. Friend, how we handle adversity is an accurate barometer of where we are spiritually. When our barometer is low, it is because we do not have an accurate understanding of God, and we do not have a strong foundation in His Word. And oftentimes the way God increases our barometer is through trials. Yes, our faith is precious, but the trials of our faith are also precious because in and through them we grow closer to God and share in the praise, glory and honor of God. Can there be any better place? What have you heard from the Lord this week? What steps is He asking you to take regarding a trial in your life? Commit now to take the first steps in obedience to what you have heard. Bobbie, thank you again for stopping by our Bible study today! If you would like to leave Bobbie a message, I know she would love to hear from you. 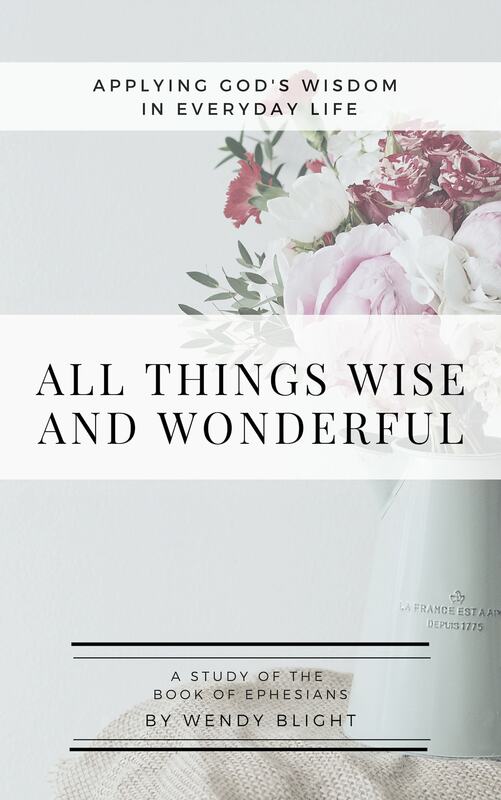 Also if you are looking for a great Christmas idea for a mom you love and would like to learn more about Bobbie’s Bible, Mom’s Bible: God’s Wisdom for Mothers, click here, and the corresponding Bible Study, God’s Wisdom for a Mother’s Heart: A Bible Study for Moms, click here. Thank you for stopping by today for your lesson and homework. Please be sure to stop by throughout the week and share your thoughts, comments, answers, and prayers. I will be praying for you! If you are visiting from my Proverbs 31 Devotion, welcome! We are so thankful you stopped by for a visit. 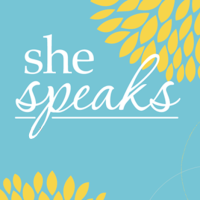 For my on-line study girls, I am posting our lesson a day early since I have a Proverbs 31 Devotion running today. I am especially excited you stopped by today because I have exciting news! I am praising God for His faithfulness and overjoyed to announce our “Living So That” study will be available in published form! I can’t quite share all the details yet as they are in the works, but I am so excited for what the future holds!! We are forming a new group called Wendy’s Street Team. 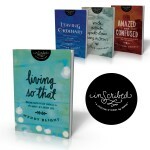 I would love for you to team up with me for this “Living So That” project and future Bible study projects. To become a member, e-mail me at deuteronomysix@aol.com and put “Wendy’s Street Team” in the subject heading and include your name, e-mail address, cell phone, city and state. 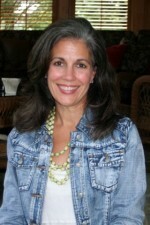 My dear friend and assistant, Lisa Sheltra, will be helping me coordinate this effort. We will have many fun ways for the Street Team to participate and help promote new projects, including sneak peaks at new studies and special perks as the time for publication draws near. Also, next Tuesday we will have a fun Christmas Giveaway. Please stop by next week for a chance to enter! If you would like to subscribe to my web site, visit the right side of my web site (sidebar). At the top you will see “Subscribe to Updates.” Submit your e-mail address and you will receive my posts in your inbox each week. Also, if you are interested in learning about future on-line studies, visit the sidebar again and locate where it says “Sign Up for Wendy’s On-Line Bible Studies.” Submit your e-mail address, and you will receive an e-mail invitation each time we start a new study. God’s timing is always perfect. Proverbs 31 Ministries schedules our devotionals months in advance, yet my devotion today coincides perfectly with our “Living So That” lesson. Our theme this week addresses relationships, more specifically, how to love “difficult” people so that people will see and meet Jesus in us. Be sure to listen to the video to discover why “difficult” is in quotation marks! Now let’s move on to Lesson Four of Living So That: Our Call to Action. What is at stake is the way the world sees God. We are God’s people, His ambassadors. When we demonstrate love in this world, we give the world a compelling picture of God…one that draw them to Him and not away. This week’s lesson shares truths that enable us to live out this life of love to which God calls each and every one of us. 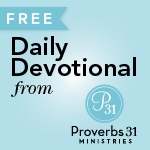 The video below goes a bit deeper into the nuggets of truth shared in my Proverbs 31 devotional and in our homework. Heavenly Father, thank You for Your faithfulness to walk with me through these lessons. You have poured Truth into my heart and mind. You have given me a Spirit of Knowledge and Revelation to understand Your Word and apply it in my life. You have convicted and refined me. I am so thankful for this precious time in Your word. Now that my study is nearing the end, lead me to my next steps with You. give me a hunger and thirst for more of You and more of Your Word. Open doors for me to live out what I have learned. I want to live a “so that” life. Give me the courage to obey my “Calls to Action.” Use me, Lord, to make a difference in Your Kingdom. Instruct me daily in the way I should go. Keep my eyes fixed on You. Give me opportunities to share the Hope I have in You and to share the truths and promises found in Your living and active Word. I love you, Lord, and ask all this in Jesus’ name. Amen. Jesus says, “I am the Light of the World.” (John 8:12). Why does He call Himself “Light?” Remember Jesus came to earth not only to redeem us but also to reveal God to man. He often used the physical to speak of the spiritual. Just before this declaration, Jesus had exposed the sin of the scribes and Pharisees who brought the woman guilty of adultery before Him to see how she should be punished. When He pointed out their sin and showed them they were just as guilty as she, they fled. They thought their sin was hidden. But nothing is hidden from the eyes of God. We do not have Jesus physically in our midst, so how do we experience the “Light of the World” today? 6. Has the Word of God been a source of light in your life? Have you noticed a connection between times of darkness/sin and your time in the Word? To live in the light means being real with God. It requires surrender, confession, repentance and obedience. We must continually expose our hearts and minds to His Word. While there, we must allow Him to teach us new ways to think and act. B. What is the world’s image? 1. List some ways the world “molds” us into its image? 2. What are some ways you are being molded into the world’s image? Conform, as used here, means “to fashion or shape one thing like another.” Paul warns us not to conform our lives to the lifestyle of the present age in which we live. We go along with our friends so we will not miss out or be left out. We say “yes” to things when we know we should say “no.” We engage in conversations that tear others down rather than build them up. We watch television shows and movies that we know are displeasing to the Lord. Eventually, we become so accustomed to the ways of the world that we think they’re normal. Paul states that rather than conform, we are to be “transformed” by the renewing of our minds. The Greek verb translated “transformed” (metamorphoo) is seen in the English word “metamorphosis,” a biological change whereby a caterpillar becomes a butterfly. One creature enters the cocoon and a totally different creature emerges. Metamorphosis results in a total change from the inside out, and for believers, the key to this transformation is our minds. “Mind” here is the Greek word nous. It denotes the control center of our attitudes, thoughts, perceptions, judgments, emotions and actions. If the Holy Spirit is to have control over us, He must control our minds as well as our hearts. This is why Paul calls us to continually renew our minds. C. List some ways we can renew our minds. Look up the following passages and share what they speak to this issue. With the renewal of our minds comes life transformation. We trade our old patterns of selfishness and self-centeredness for the Kingdom values we studied above. We no longer consider ourselves first. We begin to put others’ needs before our own. We want to please Christ and not ourselves. Life transformation prompts “so that” living. D. Is there someone to whom God is asking you to reach out and shine His Light? If you are hesitating, ask God to help you step out in faith and begin a conversation. This will look different for each of us, depending upon our situation. Pray for opportunity. Pray for that person’s heart to be prepared. I will be praying this week for God to be faithful as you step out in obedience to shine your light. “Walk in the power of the Truth that the name of the Lord God may be glorified among you, his renown may be seen in you and among you, and all the world may be astonished.” George Fox, leader of the Quakers. The key to loving the unlovable, difficult people in our lives…those who hurt, betray, and disappoint us…is God’s Word. Whatever our calling, wherever God has placed us, He calls us to live a life set apart…to let our lights shine so that God maybe seen and glorified. Can you think of a more powerful way to bring God glory than to love the unlovable, difficult, frustrating people in our lives. E. Share what the following verses teach you about love: Philippians 1:9, 1 Thessalonians 3:12, Ephesians 3:17b-19, John 13:34-35. F. Read Galatians 5:22. From where does love come? When His love comes alive in us, faith takes root. That faith expresses itself in love. And the deeper our faith, the deeper our ability to love. How does our faith and, in turn, our love grow deeper? Romans 10:17 says, “Faith comes from hearing the message, and the message is heard through the word of Christ.” Consequently, the more we expose our hearts to His Word (the message), the more our faith grows. As faith deepens, the Holy Spirit gives us confidence and enables us to take the message we hear and live it out in love. Friend, if we want more of God’s love, we must pray for it. We must also dig deeper in His Word, inviting Him to teach us how to love others. We must then meditate on what He reveals and tuck it in our hearts. Exercising these spiritual disciplines will enable us to love others the way God and Jesus love us. But the truth is, loving people this way is just plain hard, especially when it comes to difficult people. But are they really difficult people? Beth Moore defines them a bit differently. 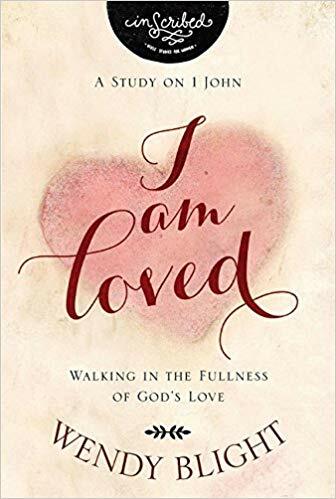 She wrote in her book, The Beloved Disciple: Following John to the Heart of Jesus, such people are not really “difficult people;” rather they are people we find difficult. Meaning, just because we find them difficult to love does not mean they’re difficult. It could be the problem is with us and not them. Loving others requires humility. We will spend more time on this subject next week. But for today we will examine humility as it relates to love. If we find ourselves angry with or hurt by another, before we let loose with our tongue, we should examine our own heart. It may be God is working on our heart, not theirs. God will always deal with us first. His plan is to transform us into the image of His Son, and that requires getting rid of that in us which does not reflect His image. When we submit to that refining and allow God to change our hearts, we will be able to love the unlovely. But there will be times where the one with whom we are struggling may really be difficult. It is then that we must pull from the truths we studied above. We must love with a love beyond ourselves. We must draw from God’s love. God’s love is agapao. This kind of love is a deliberate choice. The other love is phileo. It is a preference and based more on feelings. It develops as we get to know someone. And hope does not disappoint us, because God has poured out his love into our hearts by the Holy Spirit whom he has given us. Loving someone that is unlovable or difficult challenges us to live beyond what we can do in and through our own strength. It requires that we press into God. It requires a conscious decision to rid our hearts and minds of all toxic thoughts regarding the person and replace them with the truths of Scripture. When we empty ourselves this way, we are available to be filled with more of His Spirit and thus, able to choose words and actions that reflect love not hate. H. The New Testament contains over 50 commands to love. Read Romans 12:9-18. Paul defines love for us. Identify the various facets of the kind of love to which God calls us. Share some ways you can practically live out these directives in your own life. Love the unlovable, difficult person so that…. It’s hard to believe we only have one week left! You have been faithful to share from your heart. Your past comments reveal God is faithfully answering our prayers and doing a mighty work in and through our time together. Please continue to share this week. Be vulnerable. Share how you have struggled with loving the unlovable…loving those who frustrate you…loving those who disappoint you….loving those who swoop in and take your parking place or cut you off in traffic! Share and let’s celebrate success stories of how God has helped you truly love people that in your own strength you know you never could. I will be praying for you throughout the week. We have reached the final week of our study! Writing this study has been both rewarding and challenging. When I sat down to write, I wondered how it would ever come together…so many topics, so many verses, so many truths. But God was faithful. He took every prayer whispered, every hour researched, and every Scripture studied and faithfully supplied the words needed to create Living “So That.” Thank you from the depths of my heart for the time you have invested with me these past weeks. This is always a sad time for me as I will miss our weekly God appointment here on Living Truth. But it is also a time of celebration as I look back over the weeks and see what amazing things God has done through our time together. Your comments each week have blessed me beyond measure. We have learned from each other, prayed with each other and gone deeper still in our walk with Jesus. I will miss you, so please stop by when you have time and let me know how you are and what God is doing in your life. Don’t forget about our new group called Wendy’s Street Team. I would love for you to team up with me for the publication of our “Living So That” project and future Bible study projects. To become a member, e-mail me at deuteronomysix@aol.com and put “Wendy’s Street Team” in the subject heading and include your name, e-mail address, cell phone, city and state. My dear friend and assistant, Lisa Sheltra, will be helping me coordinate this effort. We will have many fun ways for the Street Team to participate and help promote new projects, including sneak peaks at new studies and special perks as the time for publication draws near. I changed my mind on what we will study this week. Instead of forgiveness and humility, we will study giving and humility. Not sure why, but that is the direction the Lord led my heart, so that is what we will do. I trust Him fully!!! Before we begin, I have some fun news to share. Christmas is my favorite time of year, and I LOVE to give gifts. So this week, please share your favorite verse (any verse…not just memory verse) from this study or your favorite verse in general. Please share WHY it is your favorite too. 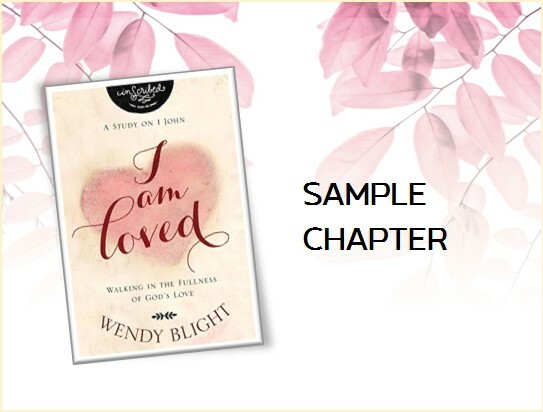 I will choose five names to win a $20 Target gift card or a $15 gift credit to Proverbs 31 Ministries to go toward a purchase of your choice and pay for the shipping. You let me know which gift you would like to receive. Join me next week for a closing message for our study and the announcement of our winners! The Hebrew word raah (RA-ah, from which yireh is derived) means “to see, to observe, to perceive.” When raah is used as part of God’s name, it is translated “provide.” Since God is omniscient (all knowing) and able to see the future as well as the past and the present, He is able to anticipate and provide for what is needed. Interestingly, the English Word “provision” is made up of two Latin words that mean “to see beforehand.” What God tells us in His name, Jehovah Jireh, is that when we pray to Him, we are praying to our God Who sees our situation beforehand, knows exactly what we need, and will provide. A. In what ways has Jehovah Jireh provided for you? Genesis 22 contains one of the most well-known Jehovah-Jireh stories in Scripture. God had promised Abraham a son at the age of one hundred years of age. Listen to God’s words to Abraham before his son was born. After Isaac was born, God came to Abraham again. This time He commanded Abraham to take his son, the son God had promised him at one hundred years of age, and go up on a mountain and sacrifice him. 1. What do you think Abraham was thinking as he traveled up the mountain? My first question would have been: I love this child so much; how can I possibly take my own son’s life? But a more pressing and confusing question would have been, Why would You ask me to sacrifice the very child through whom You promised to give me many descendants? If Abraham killed Isaac, how would God’s promise be fulfilled? Make no mistake about it, this was a test. Scripture plainly says in Genesis 22:1 “Some time later, God tested Abraham.” It was a very real test designed to prove Abraham’s faith. God asked him what seemed illogical and impossible to give his son, Isaac, back to God. Yes, Abraham had another son, Ishmael. But God had asked him to send Ishmael away because Isaac was the son of the promise. Now God was asking him to sacrifice his only remaining son. This was a true test of whether Abraham trusted God’s promise and whether that trust was enough to cause him to obey. 2. What would you have done? Explain. Thinking about my own sweet blonde hair, blue-eyed, tenderhearted boy, I don’t think I would have passed that test. I am certain I would have clung to my son for dear life and run the other way. Abraham, light your son on fire and watch him burn. That is what God was asking of Abraham. Knowing this makes Abraham’s response staggering, unimaginable even, to most parents. He exhibited immediate and unquestioning obedience. 3. Read Abraham’s response in verses 3-9. How could Abraham make such a choice so quickly? It is called faith, my friend. Our level of faith determines our response to God when He asks something of us. How we respond is overwhelming evidence of how strong our faith really is. Abraham’s story is a powerful message of faith. It reveals the kind of faith that pleases God the kind of faith He blesses mightily. 4. Read Hebrews 11:17-19. How did Abraham reconcile God’s command to sacrifice Isaac in his heart? Abraham resolved in his heart long before that day to trust God. So when God spoke that day, Abraham did what he had learned to do – trust God to honor His promises. God made a covenant with Abraham, and Isaac was the fulfillment of that Covenant. Abraham reasoned that if God took Isaac, He would provide another way for that promise to be fulfilled. They continued their walk together. Still no provision. The next few passages are unbearable to read. 5. What are you feeling right now? Still no provision, but a Word from the Lord. Abraham then looked up and saw a ram in the thicket. God had finally provided. God began a covenant relationship that day with Abraham, a relationship that extends to us today. He promised that He would provide whatever it is we need. Not what we want, but what we need. The life of faith to which God calls us is not an easy one, friend. Like Noah, Abraham, David, Steven, and Paul, we may be called to make some heartrending decisions, to walk a path we would rather not walk. The question for us at that point is on what or on whom will we fix our confidence? These men all fixed it securely on God. Stories like Abraham’s teach us that faith does not require an explanation. Faith rests on God’s promises. 7. What is one of the most difficult sacrifices the Lord has asked of you? How did you respond? How did He provide? God showered blessings upon Abraham for his obedience. God gave him great favor (v.12); God gave him back his son (v. 13); Abraham learned a new name for God, and he received new assurances from God (v. 16-18). That is how our God works. He promises that blessings follow obedience. 8. Fill in the blank and memorize it: ________________________ follow ____________________________________. B. Read the following verses and share the truths and/or promises you find. 4. 2 Corinthians 8:9. What are the first three words of this verse? “For you know.” Friend, this should be our starting point every time we take a step of faith. There is nothing God will ask of us that He will not, in turn, provide. He provides because He not only wants to build our faith but also wants to ensure that we have everything we need to accomplish His purposes and do His Kingdom work. C. Is there a place in your life God is asking you to give (time, gifts, finances) and you are hesitating? Why are you hesitating? Spend some time with the stories, promises and truths we have studied this week and see what you hear from God. Journal it and share it. We will end our time together talking about humility. Paul taught us in an earlier lesson that God’s power operates most powerfully and effectively in our weakness. 1. What do the following stories teach you about the kind of person God uses to do His Kingdom work? E. Read 1 Corinthians 1:26-29 and 1 Peter 5:5b-6. 3. Write 1 Peter 5:5b-6 below. We see this same word in John 13:4 when Jesus washed the feet of his disciples: “He riseth from supper, and laid aside his garments; and took a towel, and girded himself.” John 13:4 (KJV) Jesus performed a task normally reserved for the role of a servant, washing feet. Before He began, He removed His outer garments and wrapped a towel around His waist. He modeled servanthood for His disciples. Peter used the word “gird” here to teach us that just as Jesus laid aside His outer garments and put on a towel to become a servant, so each of us should “put on” a servant’s attitude and minister to each other. Jesus modeled for us that humility is not demeaning ourselves; it is simply not thinking of ourselves at all! “Humility” is from the Greek word tapeinophrosune, defined as “a virtue, a fruit of the gospel, that exists when a person through most genuine self-evaluation deems himself worthless.” It stresses not so much our sinfulness but our possessing nothing being absolutely dependent on God. F. Read Philippians 2:1-11. What is the biblical definition of humility given here. Humility will never be a reality in our lives until we first humble ourselves before God. We must fully submit every area to Him, holding back nothing. The willingness to submit comes when we realize that we are the recipients of God’s undeserved gift of grace. Without grace, we have no hope beyond eternal damnation. We are sinners, condemned to a life of eternal separation from God. It is God’s grace that saves us from the fiery pit of hell. 1. Think of a few people in your life who live a life exemplified by humility and write their names below. 2. What evidence of humility do you see in their lives? 3. At the beginning of this discussion, Jeremy Taylor told us that humility is a habit to be developed. What are some ways you can develop this habit in your own life? 4. Prayerfully look over your list. Is there an area in which you need to work? Ask God to help you develop this godly virtue in your life. G. Read 1 Peter 5:6. What is the great “so that” when we do walk in humility? The key phrase in this promise is found in the words “in due time.” God will not exalt us until we are ready. Sometimes waiting precedes the “lifting up.” We see examples of this throughout Scripture. Jesus endured years of rejection, persecution and the cross before He sat down at the right hand of God. Moses endured times of isolation, persecution and trials before God used him to deliver the Jews. Joseph suffered persecution, wrongful imprisonment and separation from family and friends before God elevated him to the throne. David waited decades, enduring numerous trials and tribulations, including attempts on his life, before God crowned him King of Judah. I have set you an example that you should do as I have done for you. I tell you the truth, no servant is greater than his master, nor is a messenger greater than the one who sent him. Now that you know these things, you will be blessed if you do them. God specially designed each one of us to do Kingdom work. We have God-given gifts and talents, assigned to us before time began, to enable us to do that work. (Ephesians 2:10) Living according to the “so that” verses is God’s way of guiding us toward those plans. He will use these verses to point us in the direction He is leading. After spending the last five weeks with God and the call to “Living So That…,” what is your final call to action? Choose one GIANT step of obedience you want to take for God. Meet you back here next week for a final message and to announce our Christmas gift winners. I will be praying for you throughout the week. Stop by and share your comments! Sweet friends, thank you for sharing your verses and “so that” messages this week. What a blessing it has been to journey through this study with you! I love how so many of you are praying for strength and for ways to live a “so that” life. We live our lives with the promise tucked away deep in our hearts that one day CHRIST IS COMING BACK!! He came first as a Savior, but His Word promises that He will come again. The next time He will return as a Judge, a Warrior and a King. Christ is coming back, my friends. When He does, it will not be quietly. Every eye will see. Every ear will hear. Every nation will fear. Every knee will bow. And every tongue will confess that He is Lord. How this will happen? We cannot fathom. What will it sound like? We do not know. What will it feel like? We cannot imagine. When will it be? The date is not known. But we are told one thing. We must be ready. Our final “so that” comes from Luke 12. In Jesus’ time, Jewish weddings were held at night. The bridegroom’s servants would wait late into the night for their master to return home with his bride. The servants never knew the exact time of the arrival, but they would never make the master wait, so they stood, with their robes girded up, ready to welcome and serve them as soon as they arrived. We are to do the same. We are to keep our lamps burning. Remember our memory verse for this week? It says to let our light shine before men. We are to continually let our lights shine by loving and serving others. We are not to “let up” because the master is away. Living this way keeps us close to the heart of God. It ensures that we are continually looking and listening for His voice, for ways He can minister to and use us. He desires that we have an acute awareness of His presence 24/7. By living this way, we will not be caught off guard when He comes. We will be ready. It will be good for those servants whose master finds them watching when he comes. Truly I tell you, he will dress himself to serve, will have them recline at the table and will come and wait on them. I could barely take in the words as I read the end of this verse. It says that when the Master returns, those He finds ready and waiting will recline at a table and He will wait on them. Remember in the Jewish tradition, the servants treated the bride and groom like royalty. The servants served them. It would never be expected that the groom would serve the staff. Yet Luke tells us that our King, the King of kings and Lord of lords, will minister to His faithful servants. He will reward the ready and faithful ones. The Master reverses the roles. He will serve the servants! This verse gives us another message as well. It is yet another message to “be alert,” “to watch.” We are not to be caught by surprise by the Lord’s Second Coming. He has told us He will come. He will be like a thief, unannounced and unexpected. But He will come. (Matthew 24:43; 1 Thessalonians 5:2). Matthew 24:36 tells us that no one knows the day or hour, not even the Son, but only the Father. is required that those who have been given a trust must prove faithful. God desires readiness and faithfulness. Let us make it our heart’s desire to live in this ready state so that we will be found faithful upon His return. Remember and never forget BLESSINGS follow OBEDIENCE!!! Now to announce our Christmas Giveaway Winners. Please e-mail me at deuteronomysix@aol.com with your full name and mailing address. Join Me in Sharing Some Exciting News! I’m excited to introduce to you some great new books and their authors, with whom I am now working at Thomas Nelson Publishing. The short video (5 minutes) below is a message from my heart sharing some great news about Living So That and the Inscribed Collection of which it is a part. Please take a few minutes to listen and learn about Inscribed and about several fun opportunities to win some great stuff! To meet our authors and hear the heart behind the Inscribed Collection, click here. To visit Inscribed’s new website, click here. Below is a picture of the lovely necklace designed by Lisa Leonard. Come back Friday and leave a comment today and/or for a chance to win a necklace! And we would LOVE for you to share Inscribed with your friends and talk us up on social media, using #InscribedStudies and #LivingSoThat. Our website has great premade tweets! Thanks in advance for getting the word out! I’ll see you back here Friday. And don’t forget to leave a comment today and/or Friday for a chance to win a necklace or a signed copy of Living So That hot off the presses! Do you struggle with making faith-filled choices? 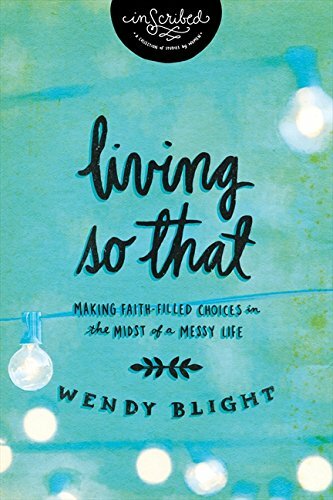 If you answered yes to this question, my new book Living So That: Making Faith-Filled Choices in the Midst of a Messy Life is for you! Visit our newly launched Inscribed web site to learn how to order Living So That and find great stuff for Twitter, Facebook, Instagram and Pinterest! Click here to visit the web site. Living So That will be released as a part of Thomas Nelson’s Inscribed Collection in March 2014, along with three other books. Three more books will be released a few months later. If you would like to get to know our authors, click here (my Monday post) to find links to their websites. I will choose two winners from the comments left on Monday’s post as well as today’s post to win one of Lisa Leonard‘s beautiful Inscribed necklaces pictured below. Thank you for spending a few minutes with me today. I know your time is precious, and I truly do appreciate it. Below are some direct links to Facebook, Pinterest, Instagram and Twitter. Thanks in advance for helping us get the word out! 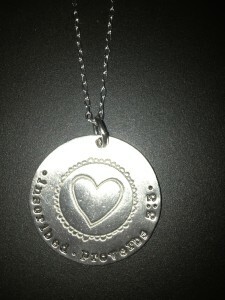 And don’t forget to leave a comment for a chance to win a necklace! If you’re joining us from Encouragement for Today, I’m so thankful you stopped by! Please leave a comment and let me know a bit about yourself. I love making new friends! I’ll choose two names from the comments left between now and Friday 2/21 to receive a signed copy of my new book, Living So That, hot off the presses. 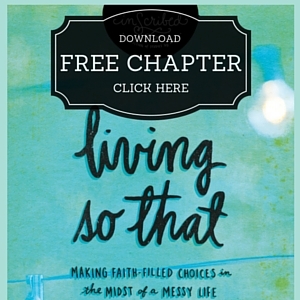 Living So That: Making Faith-Filled Choices in the Midst of a Messy Life releases on March 4th as part of Thomas Nelson’s Inscribed Collection! To celebrate its release and give you a taste of what the book is about, I’ve written a free five-day companion devotional, “Five Days to a Faith-Full Life.” I would love to share it with you today. Simply sign up below and share with your friends! In the short (6 minute) message below, I share a bit more about Living So That. Living “so that” comes down to choices. We can make faith-filled choices or we can make faith-less choices. Faith-less choices come easier and occur when we react quickly out of our emotions and do what comes naturally. They lead to a frazzled, highly charged, chaotic life. Faith-filled choices are more challenging. They require patience and occur when we react not out of our emotions but out of a Spirit-led heart and mind. They lead to a peaceful, content, more fulfilled life. I found myself making faith-less choices day in and day out, which often left me feeling like the worst wife, mom, friend, and co-worker. Can you relate? You’ll find prayers, biblical teaching, personal stories, application questions, “going deeper” sections, and calls to action to put into practice what you have learned. To discover all you need to know about Living So That, click here. 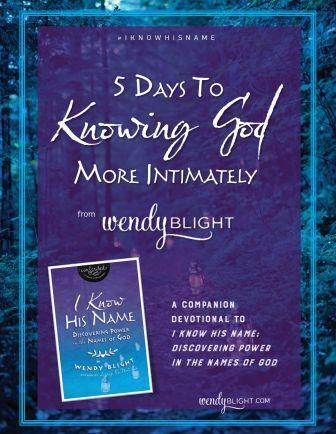 On this page, you’ll find more information about the book, an invitation to share the free five-day devotional, a link to sign up for the Proverbs 31 Living So That online Bible study, learn what others are saying about LST, find tweets to share, and discover great promotions for bulk purchases of LST for your church and/or small group. And if you order your copy of Living So That from Proverbs 31 by March 14th, I’ll sign your book! Click here to order your copy today. Over the next month, we’ll be having fun giveaways to celebrate Living So That‘s release. In fact, over the next few weeks on our Inscribed Facebook page, we’ll be giving away books from the Inscribed Collection, including Living So That. I’ll be hosting our Facebook page next week, so please stop by and visit. You’ll find our page by clicking here. To be sure you don’t miss anything, visit the right side of my blog and look for the link at the top that says “Sign up to receive Wendy’s blog posts in your e-mail.” Enter your e-mail address in the box and click “subscribe.” Be sure to respond to the confirmation e-mail you’ll receive to confirm your subscription. Living So That will be part of Thomas Nelson’s newly launched Inscribed Collection of books. To learn more about Inscribed and my fellow authors and their books, click here. Thanks for taking a few minutes to spend with me today! And don’t forget to sign up for “Five Days to a Faith-Full Life” and leave a comment for a chance to win a signed copy of Living So That!